Fun Minecraft Challenge number seven. 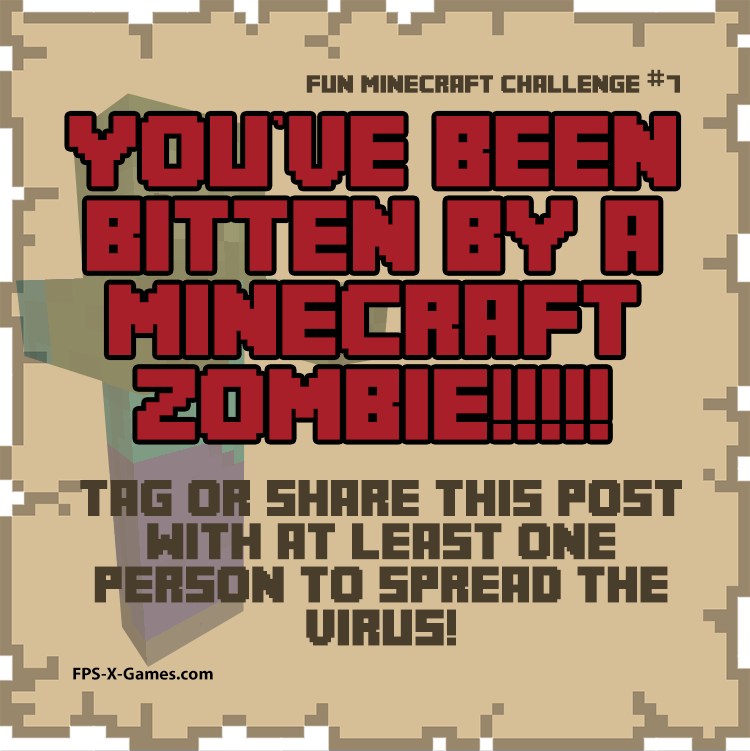 You've been bitten by a Minecraft zombie tag or share this post with at least one other person to spread the virus. Social game.